Cornelia Spiegel is an advisor at IA Capital Group. With deep domain expertise in retirement savings solutions and annuities Ms. Spiegel helps IA Capital to advance its investment thesis in the space. Ms. Spiegel has over 20 years of experience in financial services working with both private and institutional clients. She has a successful track record of creating new financial products and sell-side businesses focusing on guaranteed investment products and annuities. 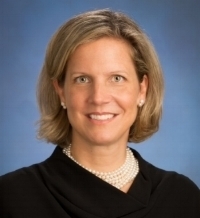 Ms. Spiegel is a Managing Director in the Client Financing and Solutions Group at Nomura Securities providing risk and capital management solutions to insurance companies. Prior to joining Nomura she worked in a similar role in the Financial Institutions Group at Goldman Sachs. Earlier in her career Ms. Spiegel worked at Deutsche Bank, where she started and ran the Equities Insurance Solutions Group. Cornelia earned a degree in Business Administration/Economics from the University of St. Gallen, Switzerland and an M.B.A. with High Honors from the University of Chicago.